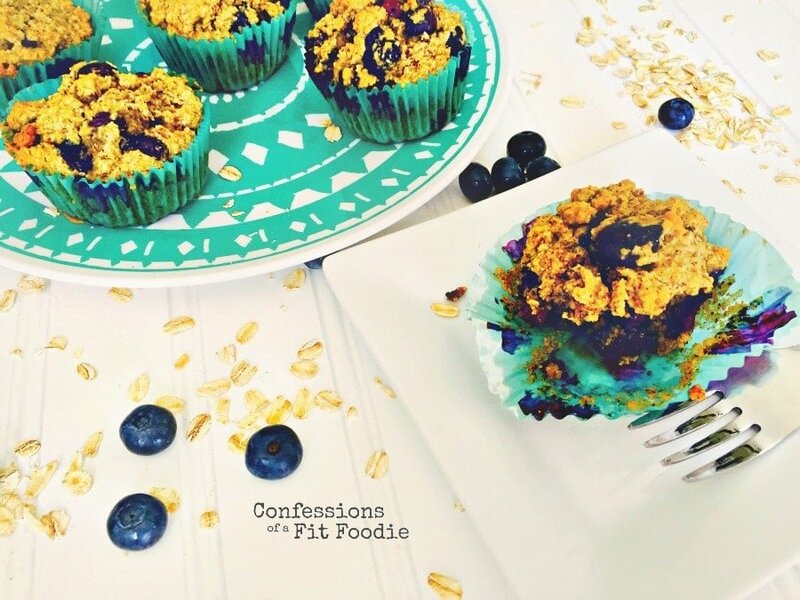 Made with almond flour and oat flour, these gluten free & dairy free Blueberry Muffins would be perfect for a brunch or for make ahead breakfasts for the week! They are even picky kid approved! Confession #98 – I recently spent four glorious days in Portland, Maine…basically eating and drinking my way through the city. We were guests at our friends’ wedding…fellow foodies…and they showered us with delicious meals day after day. 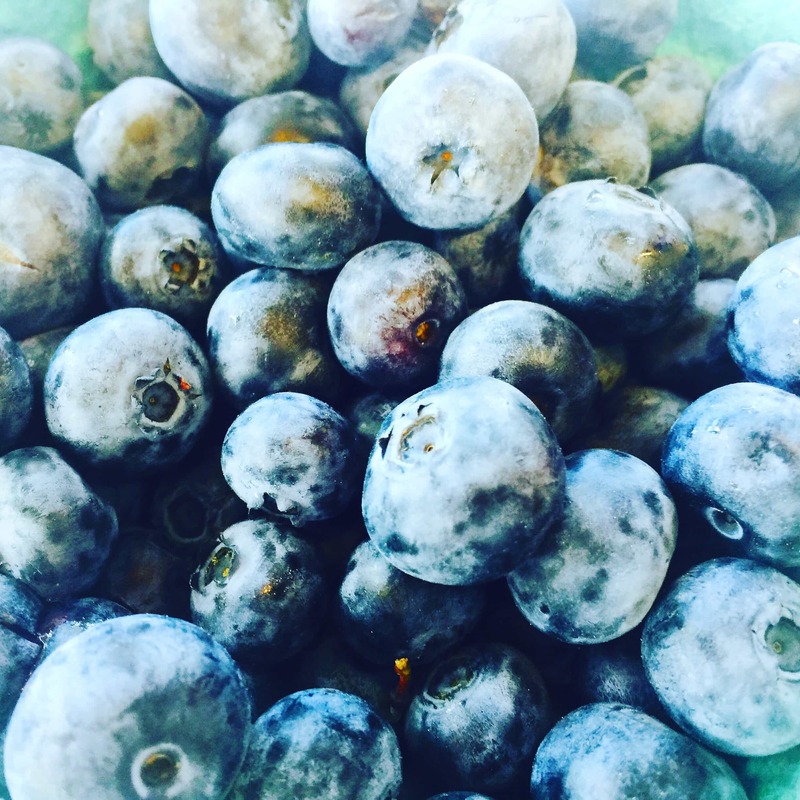 I think I consumed my body weight in lobster dinners, naturally, but the other MVP of the weekend was the perfectly in season Maine blueberries. I couldn’t get enough. Blueberry cheesecake. Blueberry crumble. Blueberry beer. Oh – and the very delicious Blueberry Mojito the bride and groom served at the wedding. I ended up coming coming home with a several pounds of Maine blueberries and tried very hard not to eat them all on the drive home. Instead I spent the time daydreaming about more delicious blueberry treats. First on the list? These beauties. These muffins were a recipe I found on the site, Ambitious Kitchen, and I fell in love at first bite. I made a few minor changes to the recipe, but otherwise followed her directions word for word and they came out amazing. 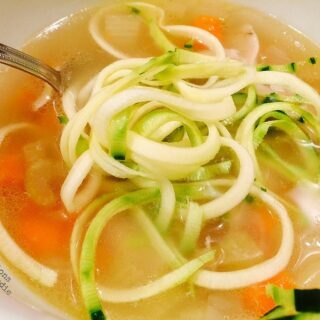 Isn’t it wonderful when a recipe really delivers? And not only are they delicious, they are super healthy, too. 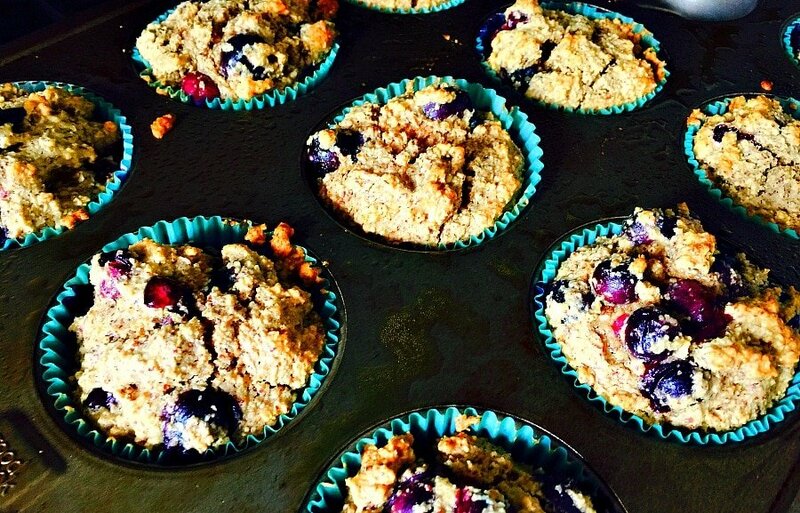 Packed with almond flour, as well as oat flour, they are a perfect make ahead breakfast for back to school! 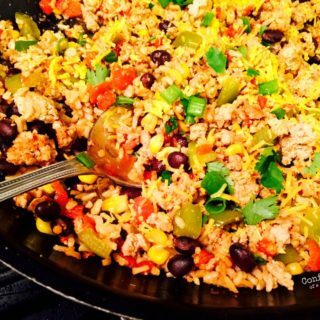 My kids devoured them – even my picky one! Preheat oven to 350 degrees F. Line 9 muffin cups with liners and spray the inside of the liners with nonstick cooking spray (this is important so that they do not stick!). In a large bowl, whisk together oat flour, almond meal, salt and baking soda. In a separate large bowl, mix together egg, maple syrup, vanilla, almond milk, coconut oil, and apple cider vinegar until smooth and well combined. Add dry ingredients to wet ingredients and stir until just combined. 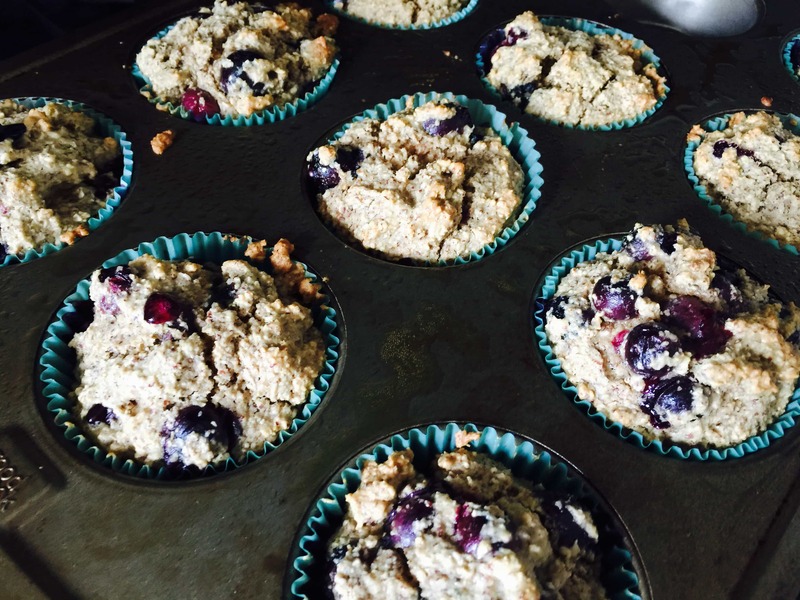 Gently fold blueberries into muffin batter, then divide evenly into prepared muffin tins. Bake for 15-20 minutes or until a toothpick inserted come out clean. Transfer pan to a wire rack to cool for 10 minutes then remove muffins from pan and place on wire rack to cool completely. 1 muffin is 1/2 yellow and 1/3 blue (so have two!). I personally don’t count the purple as it’s only 1/9 of a a cup! 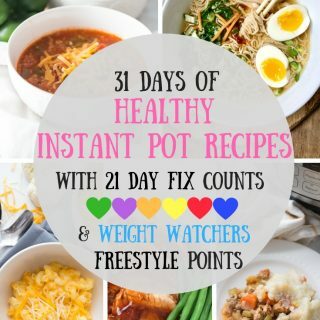 Your recipes are always so good! Thank you so much, Megan! Means a lot! Hello, I’ve made these and they are great – thank you! I have a questions re. a possible modification: if I were to use only oat flour and no almond meal, do you think they would still work? And if so, how would the container count change? Thanks again! Hi! I am not sure, actually, because almond flour is hard to sub in for…but you could try! And they would still be a yellow :). Thanks for letting us know, Eirene! 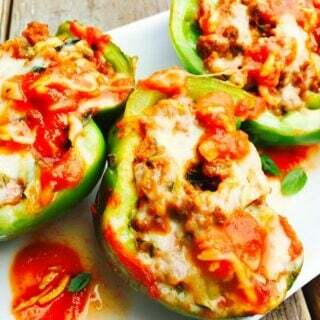 I am just starting the 21 day fix program and am very sad to be losing out on so much yummy food. I also happen to be a poor newlywed college student. I can’t justify going to the health store and buying so many “weird” ingredients. Could this be made with real flour? Is that against the fix rules? Also, I love making oatmeal for breakfast to keep things budget friendly. 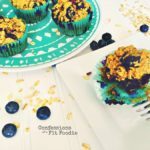 Try this – https://confessionsofafitfoodie.com/2015/08/21-day-fix-customizable-baked-oatmeal/ Or I have these on the blog – https://confessionsofafitfoodie.com/2015/08/21-day-fix-customizable-baked-oatmeal/ – when heated up, you get all the flavors of a muffin! And you can also make this in a small pan instead of individual sizes. Hope this helps you!